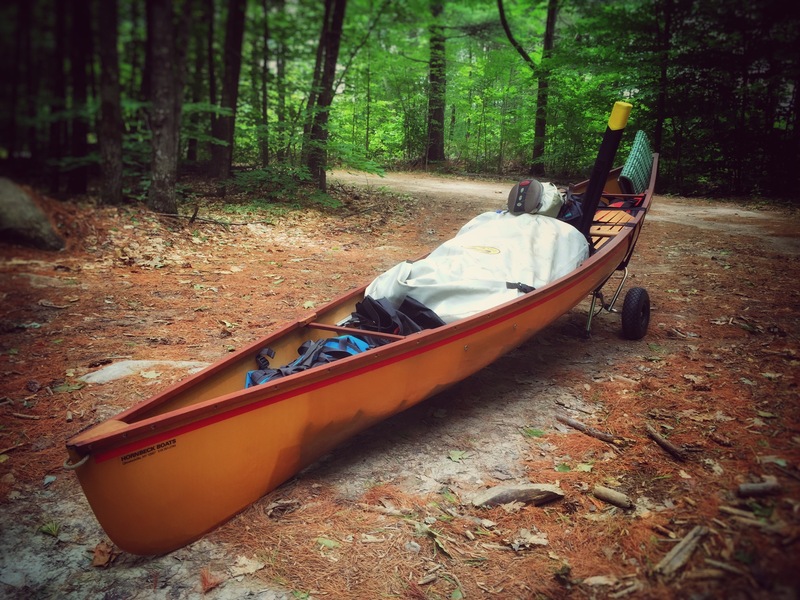 This is my friend’s ultra light Hornbeck canoe weighing in at a whopping 12 pounds…unless he is fishing with me. In an effort to be fully outfitted for our time on the water at a remote trout pond, I have transformed his hi tech vessel into a very expensive sort of yard cart. Sometimes, friends can act as anchors. I mean, hey, we all have our little issues. But you know you have a fishing mate for life when he approaches your “weight problem” with troubleshooting and a smile!